I asked on Instagram stories yesterday what kinds of recipes you guys would like to see more of and the overwhelming response was a) slow cooker recipes and b) toddler/baby friendly recipes. Well, okay then! We can work with that. It turns out those are the two recipe types that I am also searching for because let’s get real — there just aren’t enough hours in the day and I don’t have time to be a slave to the stove with two little ones running around. Amen? 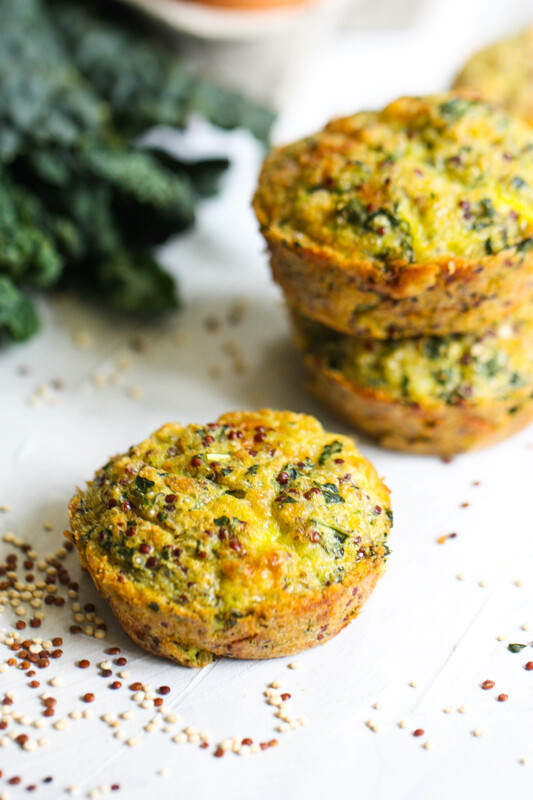 I’ve made these egg muffins now a few times and am very excited to finally share the recipe with you guys today! These are LUKE’S favorite (yup, my seven month old!) and they are also easily packed into preschool lunches or eaten as an energy boosting midday snack yourself. Did I mention they are an absolute breeze to throw together? I love how wholesome these little muffins are. 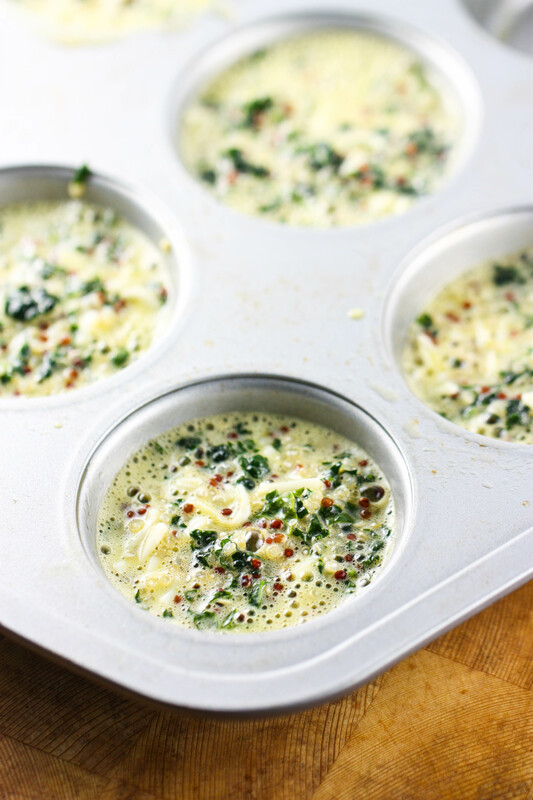 Call them muffins, frittata, quiche, egg cups…call them whatever you want. 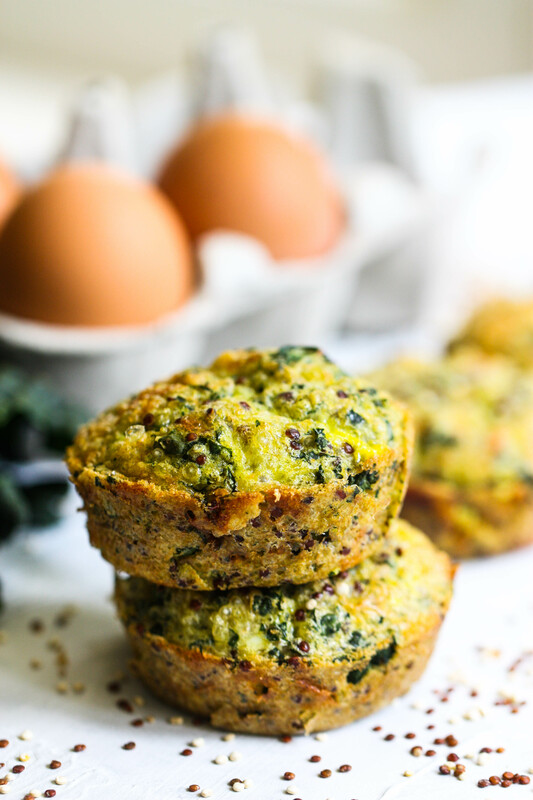 They are perfect for breakfast on the go and the only ingredients are eggs, kale, quinoa and shredded cheese. I used mozzarella because that’s what I had on hand, but you could also get crazy with feta, goat or cheddar. I hope you guys like these! I have been making a batch a week to keep on hand in the fridge and love how versatile the recipe is. I’ve also made them using zucchini instead of kale…and next time I might try spinach and goat cheese. Let me know what fun varieties you come up with! Combine the dry quinoa in a small saucepot with 2/3 cup water and bring to a boil. Simmer for 10 minutes, or until quinoa is done. Fluff with a fork. Place the cooked quinoa in a large bowl. Add the eggs, cheese, finely chopped kale and garlic salt. Beat well until combined. Divide mixture into greased muffin tins (make sure you really grease these well. I used olive oil!). Bake for 20 minutes or until puffy and golden. Let cool 10 minutes before removing from muffin tin. Yummy!!! 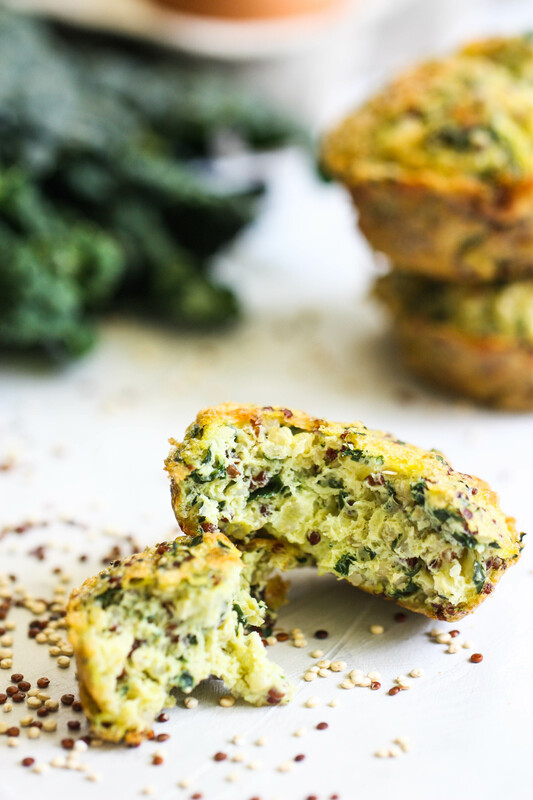 These would be great for breakfast on the go or for a quick snack to pack! It may just be my computer, but the pictures are HUGE and take over my screen. Is this just me? They are big on my computer, also. I actually cannot even see much, it is all a blur. I am on Internet Explorer and am embarrassed to admit that I have no clue how to screen shot from my desktop!! It happens on internet explorer for me, but not in Chrome. These sound great! We’re gearing up to start baby led weaning in a few weeks so I’m looking for recipes and these sound perfect! Yum! These look so good. I have a 3.5 month old and I’m hoping to also use a combo of baby led weaning and purees. Still need to read the BLW book! These look great! I love to make recipes like this to keep in my freezer for my son. Currently we have banana spinach muffins, mac’n’cheese muffins and chicken veggie meatballs in the freezer. Looking forward to adding these to my stash! Do you ever put cottage cheese in your egg muffins? I don’t love cottage cheese on it’s own but I LOVE putting it my egg muffins. Adds some additional protein and UMPF (very official word!) to them. Highly recommend! Cannot wait to try these, these look yummy-healthy and filling. 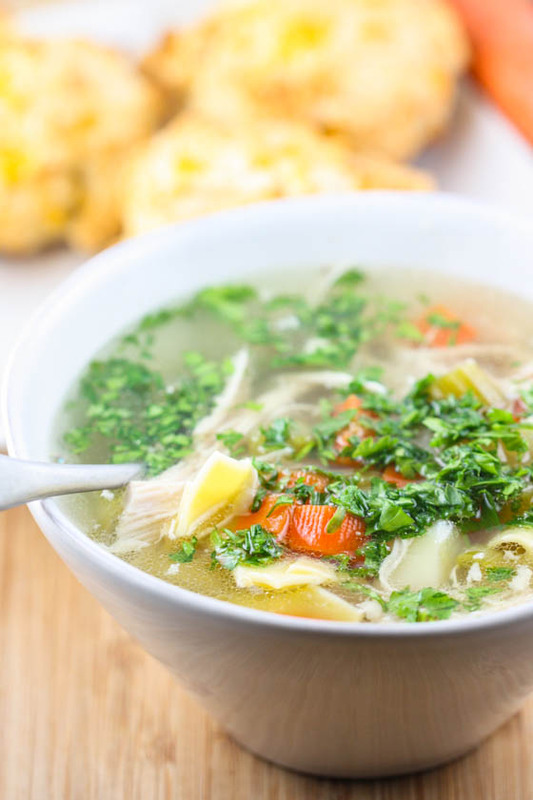 I missed your blog -your recipes-your writing I am just so glad to see you return. Congratulations on your second beautiful son! Happy 2017! I made these yesterday for my 15 month old and she loves them! So easy to put together and so tasty. Thanks, Jenna! I made these yesterday and my picky 17 month old loved them! It’s so hard to get her to eat any sort of veggies so this felt like a major victory! I ate some myself for breakfast today and really enjoyed them. Overall a win in our house. Can’t wait to see more toddler friendly recipes! Jenna, I am happy that you’re back in blogland. The site looks beautiful, and I’m looking forward to more of your delicious meals in my home! 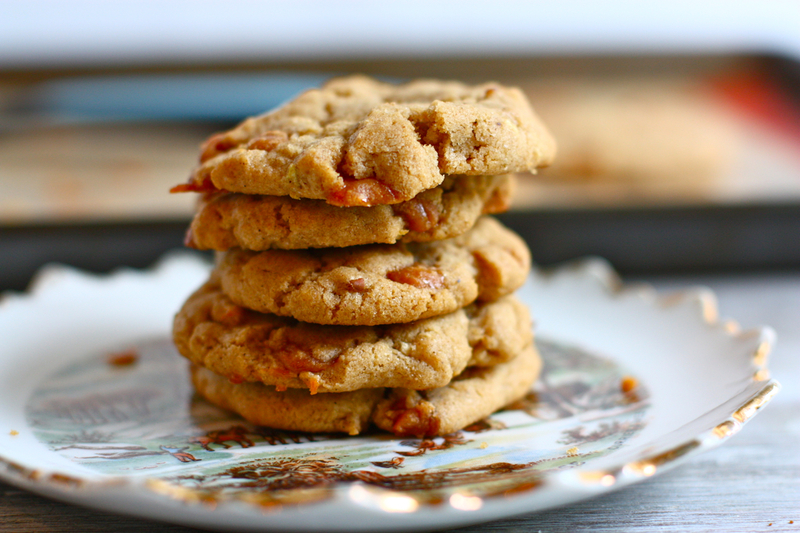 You were not exaggerating: these ARE easy to make.. and they turned out delicious. I’ve been pairing them with a smoothie for breakfast every day. Thank you for sharing! Back to School - Tried and True Breakfast Ideas for Everyone! 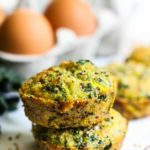 I’m keto so can’t do quinoa but the kale is a good idea, I usually eat it in pesto or baked but it sounds really good in these! Love these! THANK YOU! Looking forward to more of these toddler/baby friendly recipes! These were amazing. 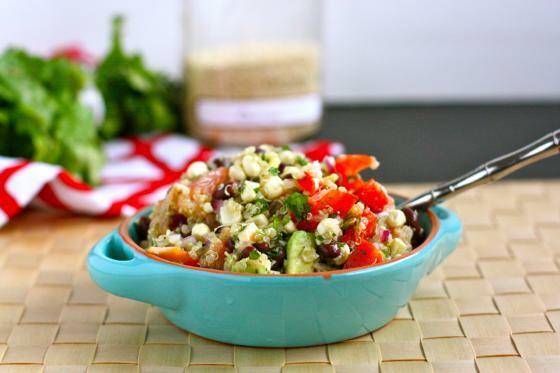 I had made some in the past but not with quinoa and I really loved the addition of the quinoa. I felt it kept me fuller for longer… which is ALWAYS good! haha I will definitely be making these again and have shared them on my blog because I liked them so much!